The San Francisco 49ers were leading the Panthers 23-10 with 23 seconds left in the game Sunday when they attempted … a fake punt? So far, no one on either team has commented on the play, so we’re not sure how the Panthers feel about it. People on Twitter, however, weren’t laughing about Jim Harbaugh’s team’s decision to try a fake punt when the game was all but over. They weren’t happy at all. What are your thoughts on the decision? Classless? Give Harbaugh a slide? 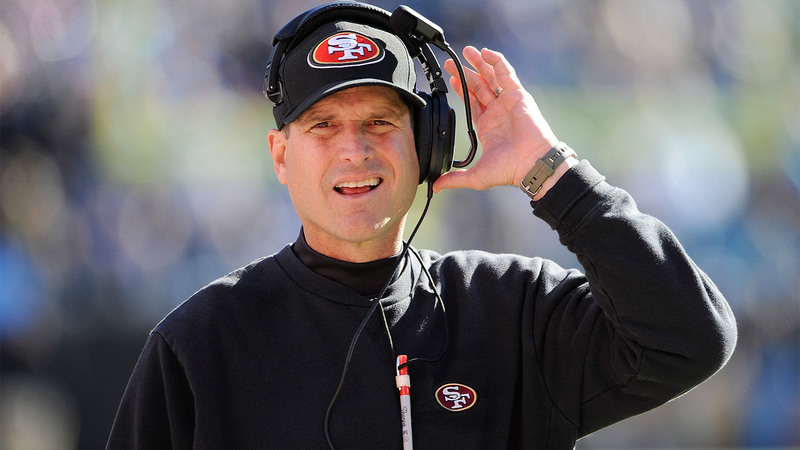 We’re guessing Harbaugh doesn’t care what anyone else thinks. Really? You try to run a fake punt when you're up by 13 and the game is over? That's why I hate harbaugh and the 49ers. Not to mention the 49ers EMBARRASSED us trying to do a fake punt and then that celebration..